DDW told me about this fantastical shampoo and conditioner made by Burt's Bees. It's all natural and made without sulfates, which apparently are bad bad bad. Or at least, somewhat bad. 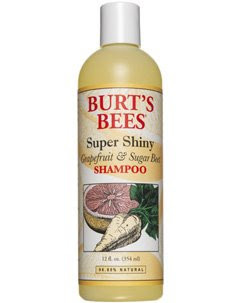 Either way, this stuff makes my hair soft and super shiny. Also, it smells so good that I woke up in the middle of the night and Aikane was licking my hair.